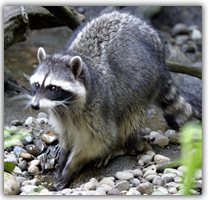 If you want expert raccoon removal services in Greenfield, Indiana, call our professionals today at 317-535-4605. We have all the resources necessary for a safe, efficient, and effective raccoon removal job. We do it right the first time. 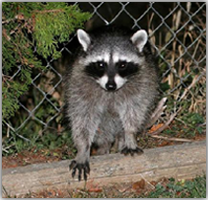 We can remove and prevent raccoons from coming back onto your property. 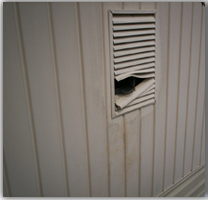 Call us today for a free phone estimate on raccoon removal services in Greenfield, Indiana. Are you looking to get rid of raccoons in Greenfield, IN? We are the experts that can help you with that! 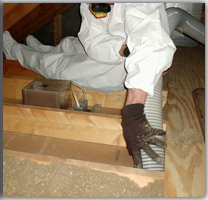 We have been in business for nearly 20 years, and have removed raccoons from almost any imaginable scenario. Whether it’s one raccoon, or a whole colony of raccoons, we have the team and resources necessary to control the problem. If you call us today, we can tell you more about how to get rid of raccoons in Greenfield, IN.